This was a SUPER quick and easy card to make. I let the patterned paper be the star of the show. I simply trimmed down this adorable paper and adhered it to my card base. 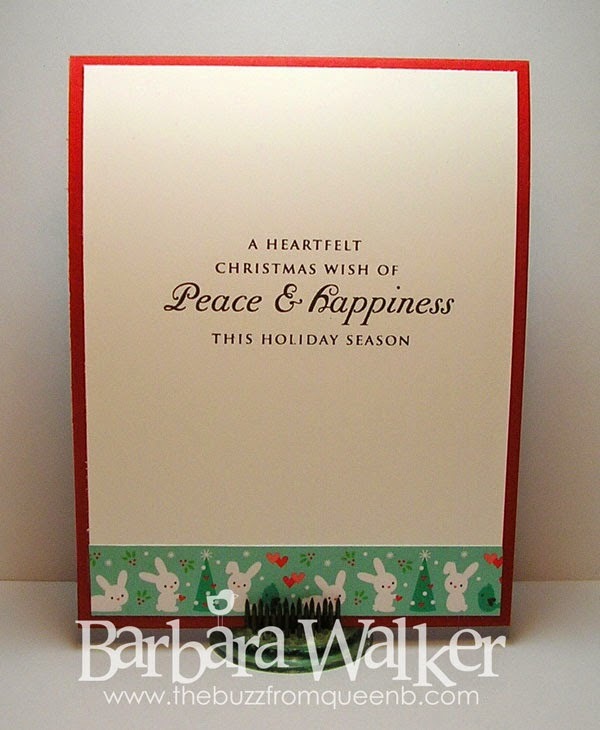 I stamped the greeting with Versamark ink and embossed it with Early Espresso embossing powder. Then I added a few Pretty Pink Posh Sparkling Clear sequins. And to finish it off, I tied on a bit of Mistletoe Hemp Cord. I just love the little scene printed on this paper! Then, I worked on the inside of the card. I used Early Espresso ink and a stamp set from Papertrey Ink to stamp the message. Then I adhered a strip of coordinating patterned paper to tie the whole thing together. And that was all there was to it! Cute, quick and simple! Thank you for stopping by today. 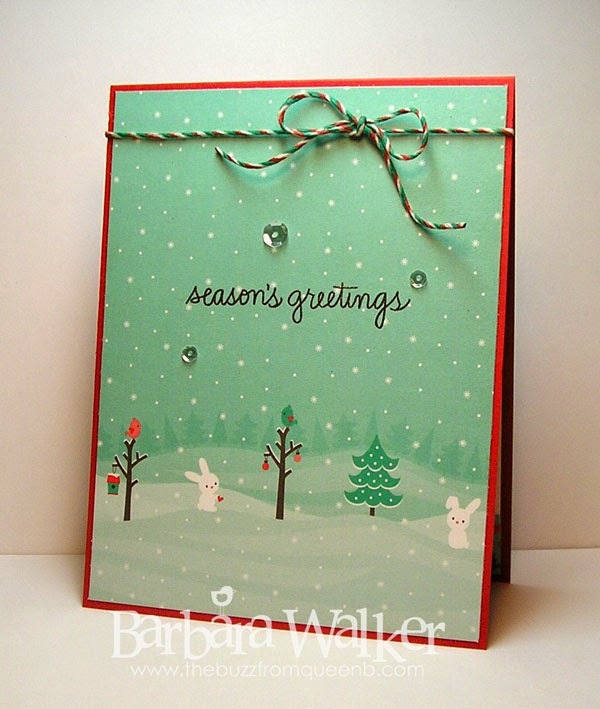 stamps, patterned paper and card stock are from the November 2014 Simon Says Stamp Card Kit. That scene definitely deserves to be star of the show! So sweet. I like the hemp cord you used. It looks perfectly placed. Gotta love your sparkle, too. I admire how nicely you finish your cards on the inside, too. Great job! Gorgeous card Barb, the paper is so cute.